“I Feel Like I’m Going to Get Shot Every Day”: Detroit Cop Speaks Out — Condition Yellow: Stay Alert. Stay Alive. The war on cops rages on as anti-police groups like Black Lives Matter disguise their violent messages of hate as cries for "social justice." In Detroit, where blacks comprise 82.7% of the population, communities are plagued by black-on-black violence, largely ignored by the mainstream media and Black Lives Matter race-baiters. While Black Lives Matter and similar hate-groups love to make martyrs out of criminal thugs, perhaps the most egregious example of their hypocrisy is the utter disregard for the lives of certain "unapproved" blacks, namely those in law enforcement. Has it become fashionable to lash out at police? Law enforcement advocates fear it’s a growing trend in some circles. Whether they’re being shot at, cussed at, zapped with a stun gun or denied service at a restaurant, many police officers in Metro Detroit and across the country feel they’re being disrespected more than ever. The NAACP has declared black police officers aren't really black. Black Lives Matter celebrates cop killers — even those that kill black police officers. Since the death of a black police sergeant earlier this week, there has been nary a protest in his honor. In fact, there has been even more racial hatred directed at black police officers. Officer Anderson's life should matter just as much, if not more, than criminals that terrorize communities. 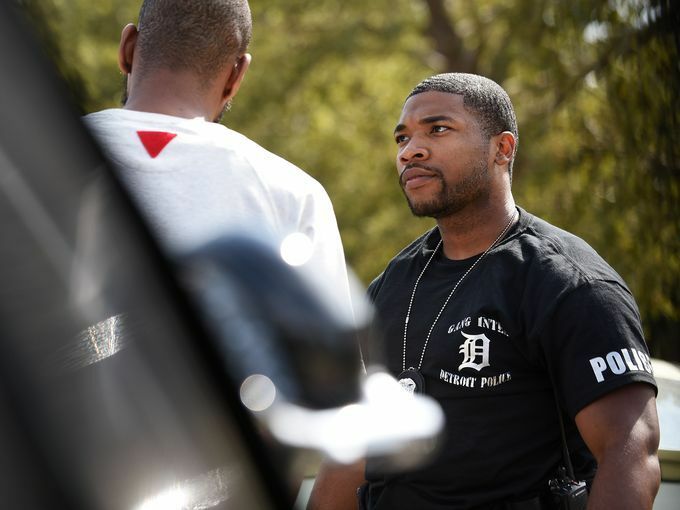 As a member of Detroit's gang intelligence unit, he's on the front lines every day, putting his life at risk to protect and serve. If he comes under attack like so many of his colleagues before him, who will be his champion? Certainly not Black Lives Matter.